The White Sox's top prospect and No. 3 overall in baseball, Jimenez had already been assigned to Triple-A Charlotte to start the upcoming season, but the deal means that he could be in the team's Opening Day lineup on March 28 at Kansas City. 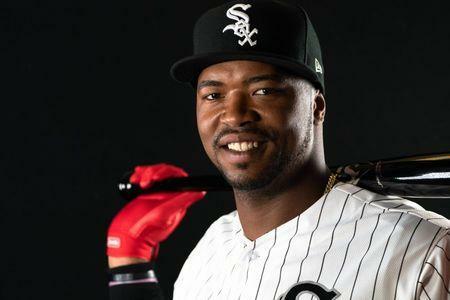 "Eloy is a tremendously talented young player who has impressed us with his baseball skills, poise and maturity from the moment he joined the White Sox organization," White Sox senior vice president/general manager Rick Hahn said in a news release. "We view him as an important member of the core we are building over the coming years, and so are pleased to have reached this long-term agreement to have him in a White Sox uniform for many seasons to come." The 6-foot-4, 245-pound Jimenez, a native of Santo Domingo, Dominican Republic, said, "My family and I are very happy and excited to sign this deal. It gives us the opportunity to ensure our future, but more importantly, to reinforce my commitment to the White Sox organization. All of my effort, focus and desire is to help this team win multiple championships and bring joy to our fan base."